Earth is a mighty large planet full of natural resources. However, it’s no secret that our planet has been in trouble for some time. With the near extinction of many plant and animal species, it’s reassuring to know that large companies have conservation armies helping. Dr. Anne Savage, Conservation Director for Disney’s Animals, Science and Environment shares stories of how Disney participates in efforts to give us a better planet. This is part of a sit-down session with Dr. Anne Savage, Dr. Anne Savage, Conservation Director for Disney’s Animals, Science and Environment. Her presentation was so informative that a good portion is shared here. I’m so happy to be able to share with you some of the conservation work that we’re involved in. 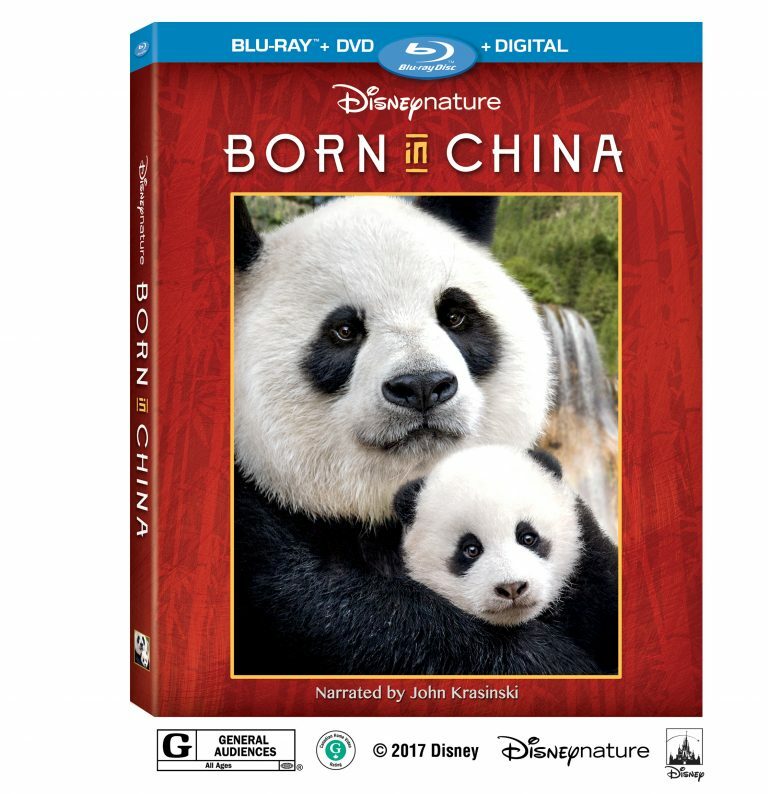 Not only associated with Born In China but just sort of our overall commitment to conservation. I think sometimes that most people don’t realize that, not that we’re trying to keep it a secret. It’s one of the things that we’re really proud of and we would love it if you wanna’ continue to help share our message about how Disney is really committed to conservation and the kind of cool things that we’re involved in. Conservation didn’t just start when we opened this park. It actually began with Walt. You know Walt has a long history of caring for wildlife. It started out with a lot of the movies that were you know you know part of our company years ago and continue to this day. And you know I love this quote from Roy Disney. 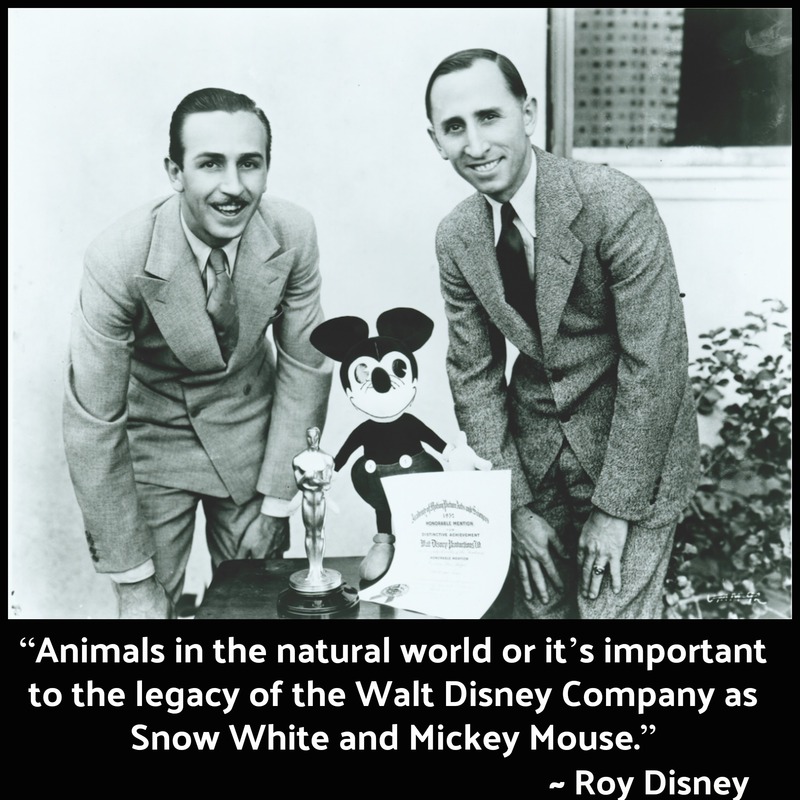 And that is, “Animals in the natural world or it’s important to the legacy of the Walt Disney Company as Snow White and Mickey Mouse.” And that’s something that we live, eat and breathe each and every day. All of us at that work here at Disney’s Animal Kingdom are so committed to the animals that we care for each and every day. We are committed to ensuring that these animals have a future in the wild. It’s not just about animals. But we all know that it’s not just enough to just care for animals, right? Whether it’s here or in the wild we’ve gotta’ get people involved and that’s where we need your help. You can help share this story about how people are making a difference for wildlife. And we’re really committed to, not only talking about the work that we’re doing, but we want to inspire the next generation. So we want kids and families that come here to Walt Disney World to really have positive fun experiences with nature here in our park and to get inspired. You know when they get a chance to meet with some of our cast members that are here. 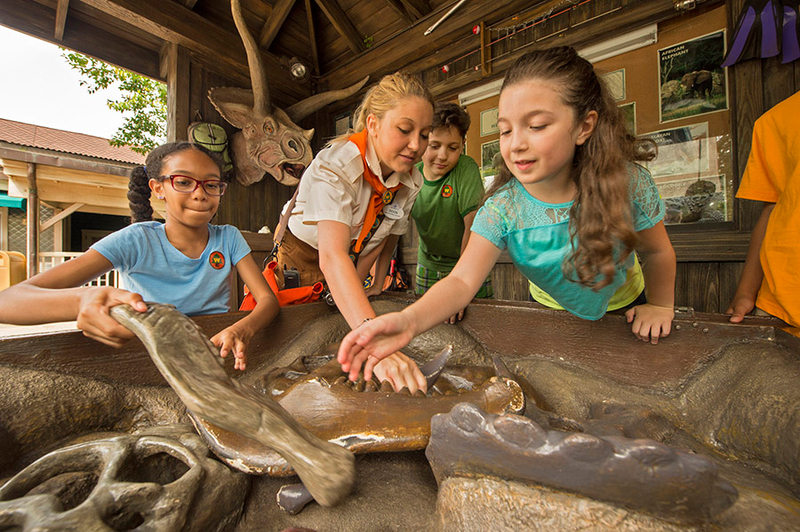 If you’ve had the opportunity to meet some of our wilderness explorers. That is just so much fun. You can see kids eyes just sort of light up when they’re making some of these discoveries, and that’s what this park all about. There are some great adventures that you can go on as you’re walking through or being part of some of the amazing attractions that we have, but it’s that sense of discovery. That you are on your own personal journey as you’re going through this park. And there are lots of little-hidden gems that I really encourage you to sort of stop, look and listen because you just never know what you’re gonna’ find. You learn those little tidbits like maybe you’ll smell the Gorillas before you see them. Those sorts of things are, are kind of cool right? When you hear that sort of thing it gives you that sort of insider’s peek into this park. And it’s also really fun to listen to some of the animals. You know we’ve got uh an amazing diversity of animals that are in this park and that vocalize all the time. 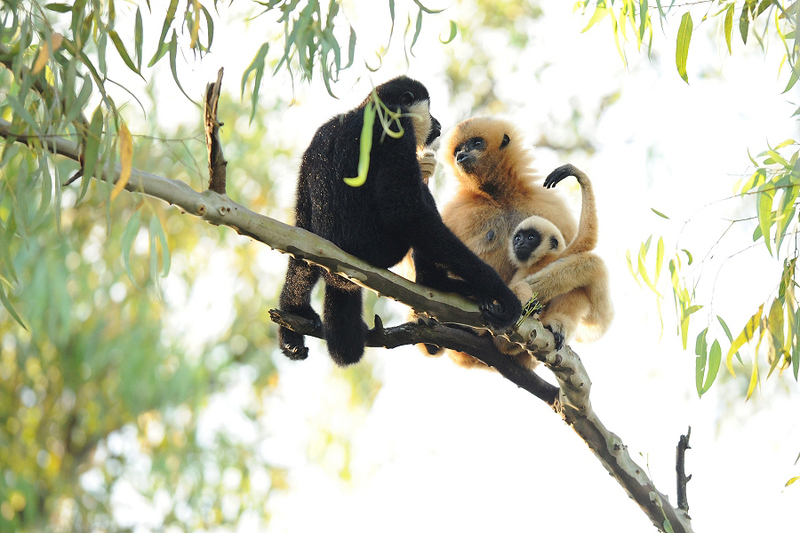 Whether it’s the beautiful bird song that you hear or you might even hear some of our Siamang’s or White Cheeked Gibbons. These amazing primates that are over in Asia give these beautiful long calls that are just spectacular. And occasionally you might even hear those Lions roaring, which I’m telling you when you hear that sometimes first thing in the morning it’s just mind blowing, right? So I think this, this um whole idea of how we connect with nature in our park is really something that’s truly important to all of us. And how we’re working to help protect nature and inspire the next generation. So what I wanted to do is share this little video with you that really talks about our commitment to nature through the Disney Nature Brand as well as through the Disney Conservation Fund. Okay how cool was that? Right? I mean you just get so excited and that’s what one of the things that I really love. You know when I look at our Disney Nature film label you know wouldn’t it be great if we all had a chance to go to China and see Pandas, and Snow Leopards, and Golden Monkeys? But in truth we’re probably not gonna’ have that opportunity, but through these films we have this amazing opportunity to really connect with nature in a whole new way. Particularly when you look at the quality of this footage that you see in there. I mean I was completely blown away when I saw that film. I hope you were too. And you know being a scientist and working with animals in the wild I know how difficult it is just to even get like a glimpse of some of these animals. And particularly when you look at the snow Leopard footage. A lot of our colleagues that work with Snow Leopards have never seen a Snow Leopard in the wild. They’re in their habitat. They might see paw prints, but the number of times that they’ve seen Snow Leopards is– you can probably count on one or two hands. And when they saw this film and they saw the footage they were just completely blown away. And to me is just so exciting. Being able to share these sort of intimate moments with nature at such a level because it’s these type of moments that can really change your life you know. And then when you come to our theme parks, particularly here at Disney’s Animal Kingdom and you get to see these animals right, it can really be life changing, and we’ve seen that happen with our guests. Where they have this opportunity, particularly our younger guests. And if they get the opportunity to spend time with our cast members that are not only working to take care of the animals here but in some of our conservation programs, it’s been life changing. 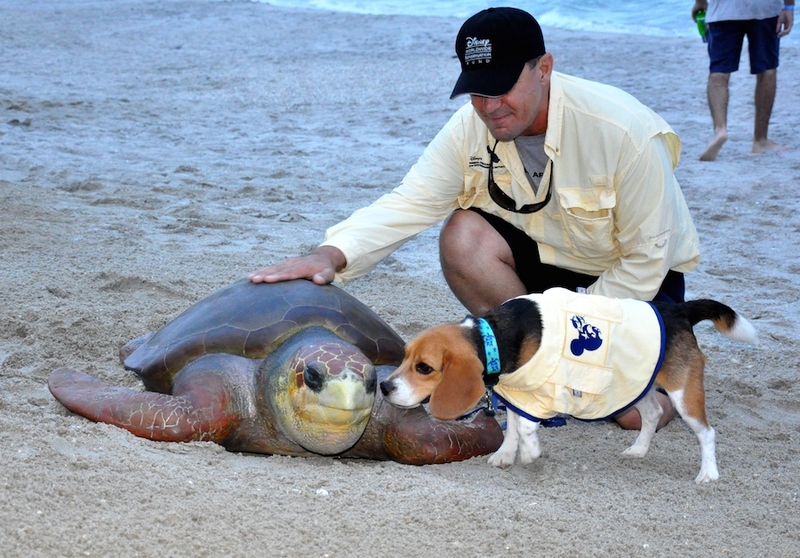 We have a Sea turtle Conservation Program that is at Disney’s Vero Beach Resort. And we’ve had young guests that had joined us on the beach and been part of our education programs. And they have turned out to say, “You know that experience is what made me wanna’ become a Marine Biologist.” And so for me, that’s one of the most gratifying parts of the job that I have. Of the opportunity to share this exciting work that we do around the world. I’m really excited about is the commitment that the Disney Conservation Fund and our company has made to protect wild life. So the Disney Conservation Fund has given away over $65 million to protect wild life around the world. But if we look at just our Asian species that might feature some of the species featured in this film. 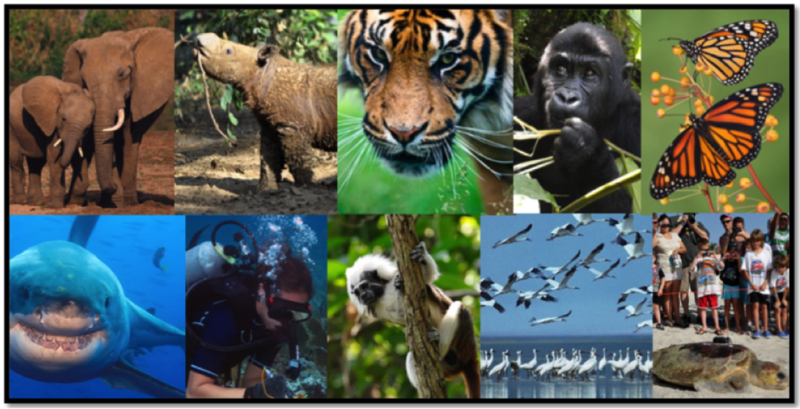 You can see that we um protected more than 100 species in 34 Asian countries you know. And so how does the Disney Conversation Fund work? Well, we will give funds to leading nonprofit organizations that are working to protect animals in the wild. And so it’s working, not only to protect species but to protect habitat because we know that animals need places to live if they’re going to survive. But in addition to that, we also do a lot of work with communities because a lot of times these places that we’re trying to protect are right at the edges where people live. So you know when you’re looking at a lot of these countries many of these folks are living in poverty so we want to be able to work with communities to do the right thing to help them and to save wild life. And so we’ve launched this new program, well it’s not that new but probably new to you, called Reverse The Decline. Where we’re really featuring um work on 10 at risk species and we have made a commitment to work long term on these species so that we can really help uh leading NGO’s reverse the decline species. And what does this mean? So we work with the NGO’s to create a strategic plan of really addressing what are the key threats to these species and then how are we going to help solve them? So in addition to the funds given by the Disney Conversation Fund the other thing that we do is leverage the talent that we have here at Walt Disney World. Again, most people, when they come to Disney’s Animal Kingdom, don’t realize that we’ve got conservationists and scientists. Veterinarians and educators and animal keepers that, not only have great specialization of– with the animals that they work with here in the park but also lend their expertise to protecting animals in the wild. And so we look for ways to leverage what we do best, right, and help these groups. So, for example, with sea turtles um we pick sea turtles because here in Florida Sea turtles are really important. You know more sea turtles come to nest in Florida than any place on earth. So we wanna’ be good stewards and uh we also happen to have Disney’s Vero Beach Resort which is right at the edge of the Archie Carr National Wildlife Refuge. And the Archie Carr National Wildlife Refuge is a 21 mile stretch of beach that has more nesting Logger Head Sea turtles there than any place else on earth. So Florida is really an important nesting grounds for Logger Heads Sea Turtles, Greens, and an occasional Leather Back that make their home here. And so we have worked on a number of different projects because what we’re able to do is sort of do that Disney difference. So we have a team of folks that are on the beach that are monitoring all of our Sea turtle nesting activities. But what makes us different is that we engage all of the guests that staying at the resort and all the visitors that are on the 7 miles stretch of beach that we’re working on to care about Sea turtles. So you can come join us at 7:00 in the morning and look at a Sea turtle Nest that was laid the night before or even see a nest that had just hatched, which is really fun. 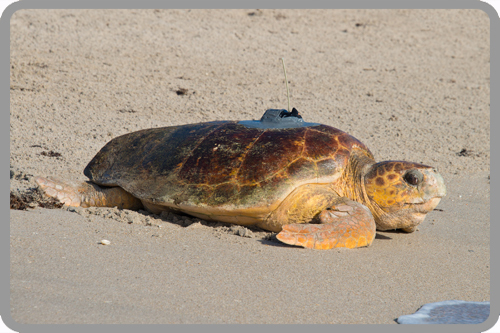 Then in the months of June and July, you can join us on a guided sea turtle light walk so you can see a female lay her eggs. And what’s so cool about this is that we’ve been able to find that Sea turtle’s come back to where they were born, where they were hatched. Tracking in and out of the water. We put satellite transmitters on some females and tracked where they’ve gone and we had one female come back and nest, and she came back two years later, she nested 3 houses from where she nested 2 years ago. I mean I can barely find my way you know to some of the different areas! I mean how does she do that? And she’s 30 to 40 years old when she comes to nest for the first time. So we use a lot of this information to really, not only tell compelling stories, but also, of course, to share this information with decision makers to help us save these species. The other thing that’s been really cool is we’ve launched sort of a new initiative in helping folks find where the eggs are located. You know one of the challenges is you might have some of these nests and we wanna’ be able to protect them because you know our beaches are really busy, right? It’s really important for some of these nests that we can sort of put stakes around them so that we can protect them from people. Then we monitor how successful they are. We wanna’ be able to locate exactly where the nest is, but you know what if sea turtles laid their nests and covered their nests in such a way that it was really easy to figure where their eggs were everybody would find them, right? So they’re really good at disguising where their eggs are. And the other thing is some of our Sea turtles will lay nests that are deeper than the length of my arm. So if I can only use my hands to find where the eggs are located you can imagine in this heat how long it takes me sometimes to find the eggs. 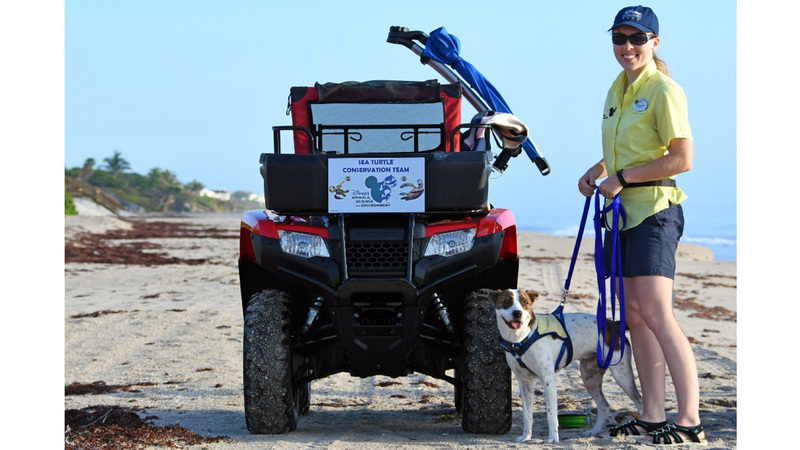 So rather than push everybody over the edge and asking them to find where the eggs are we’ve actually trained a dog to help us find our sea turtle eggs. This is Dory our new member of the conservation team. And she joined us this year. It’s her first year on the beach. It’s been very exciting. Video of Captain Ron, for there isn’t one available of Dory yet. Sometimes she’s off on exactly where. Like it might be by her foot because a lot of times the wind sort of changes how the scent is, but she always will tell you. If it’s a nest she alerts and it’s so cool to be able to watch her. And the cool thing about this is Dory’s a rescue dog, she’s not a special breed. She was found running down I-75 um and somebody pulled over ‘cause they were worried she was gonna’ get hit crossing the expressway. They opened their truck door, she jumped in, and so they ended up taking her to a shelter. She sat there for a while because she is a very high energy dog. Dory the turtle finding dog. She probably would not make a good family dog because she needs to be busy. But you know what she’s perfect for working, she loves to work, and to her, it’s so much fun. It’s been really great to be able to leverage Dory. You know as you’re walking along the beach and you see a dog on the beach you’re like, “Hey what’s goin’ on with this dog?” But she’s a working dog and the whole idea that you can take an animal that was at one point in a shelter and give it a job, and you know this dog has never met a Sea turtle, but she’s doing her job to help protect them. I mean it’s a great story that we can all get involved in helping to protect Sea turtles. 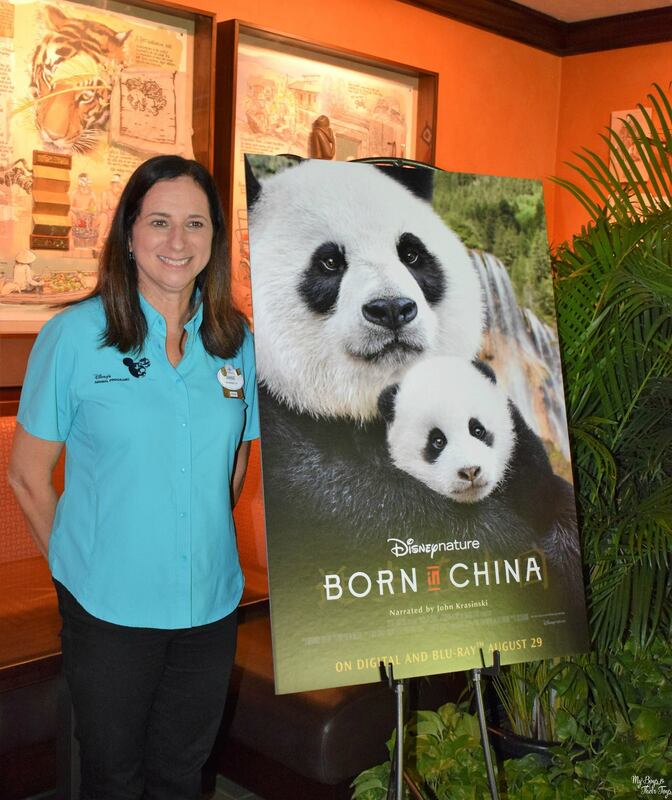 There is so much more than this, so come back next week when I share more of what Dr. Anne Savage, Conservation Director for Disney’s Animals, Science and Environment told us about the conservation efforts of Disney. 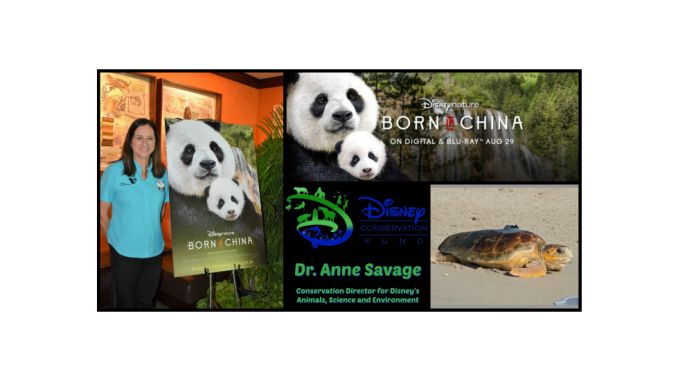 Hey Buddy!, I found this information for you: "Dr. Anne Savage, Conservation Director for Disney". Here is the website link: https://www.trippinwithtara.com/dr-anne-savage-conservation-director-for-disney/. Thank you.